Prime, south-facing location that showcases the spectacular water view you will enjoy from sun-up to sun-down! Uniquely positioned, this elegant 1st floor, end unit coach home (w/2-car garage) offers a rare level of privacy from neighboring buildings. 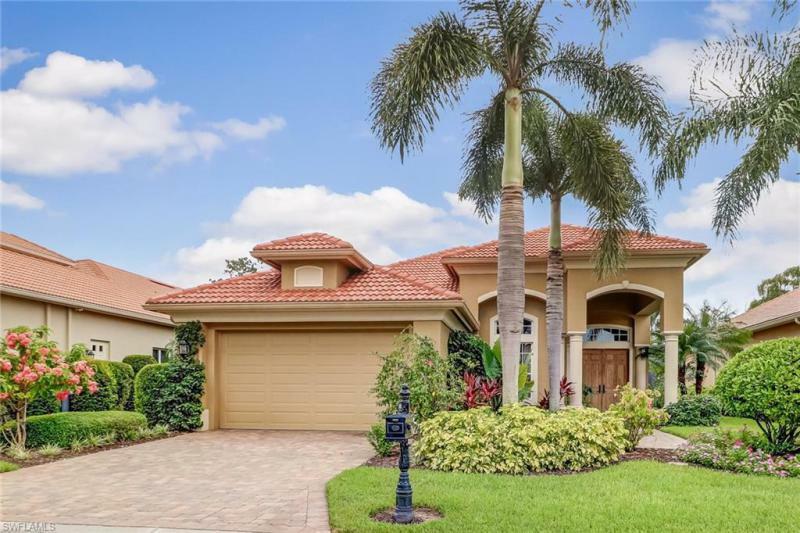 Situated in the gated community of avellino isles within the vineyards (guard-gated), it is in pristine condition with notable stylish details throughout. 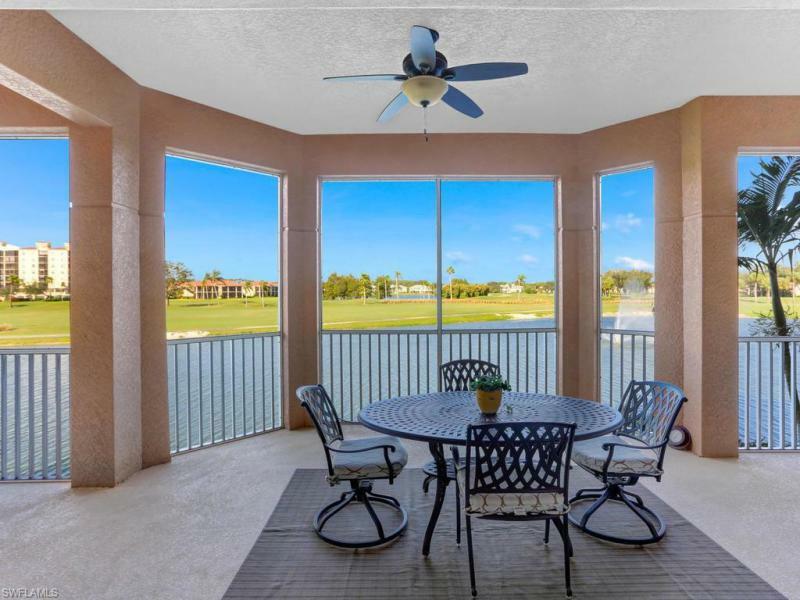 Impact sliders were added to the lanai, expanding the overall living space by 398 sq ft, giving you the ability to utilize the full space on a daily basis or to close the inner sliding doors and enjoy a spacious fresh-air lanai. 9. 5 ceilings and a well-designed floor plan offers space for everyone with oversize guest bedrooms featuring en-suite baths & walk-in closets. Sunny kitchen with ample prep & storage space, new wall oven & microwave (other appliances replaced in last few years). So many reasons to love it here! Clubhouse with fitness center, card room & community room. 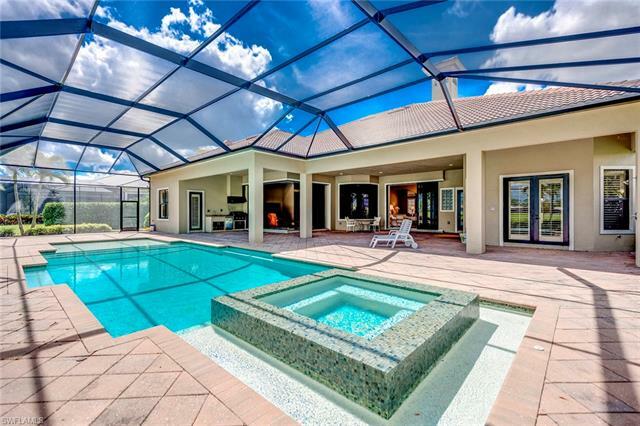 Top all of this with one of the most impressive infinity edge pools in naples! Optional membership at the vineyards cc-golf, tennis, pickleball, wellness center & spa, bocce, dining & events! View the video ! Welcome to resort living at lovely avellino isles! Awesome price for this first floor end unit coach home! Enjoy the easy stroll to the fabulous avellino clubhouse with contemporary renovation paid for and under way now, and jr. Olympic pool, fitness room with new equipment, new grills, chickee hut, mailboxes, and loads of overflow parking for extra guests. This bright and light neutrally-decorated home has been lived in only several years. 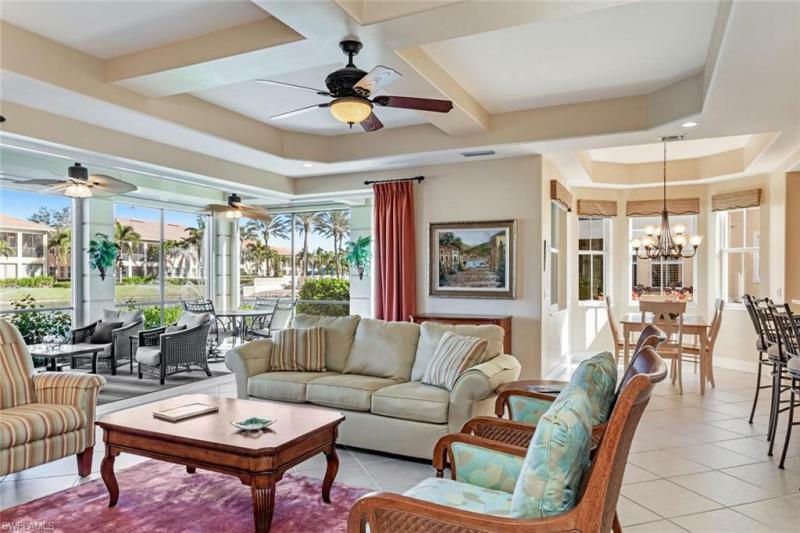 You'll love the plantation shutters throughout with hunter douglas shades on the lanai, elegant large tile everywhere except the carpeted bedrooms, custom paint, and luxurious finishes avellino is noted for. 2008 construction ensures peace of mind including current code impact windows. Jetted tub in the spacious and elegant master suite. 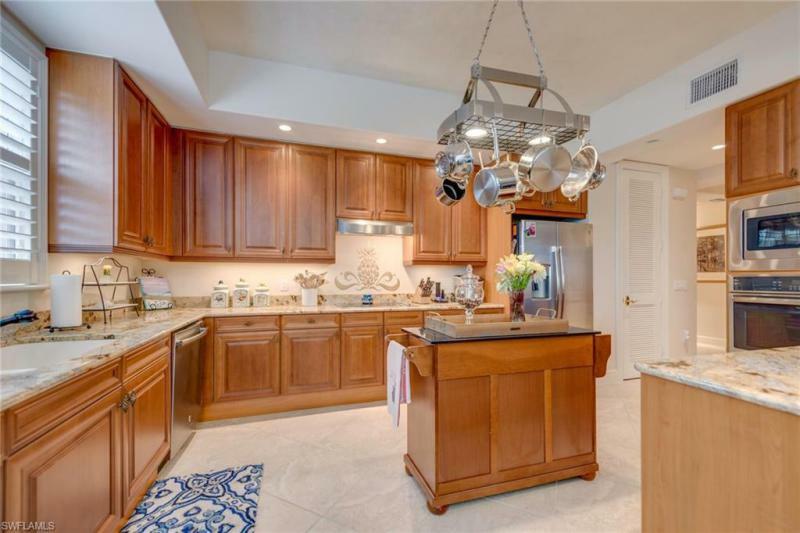 The open chef's kitchen boasts granite counters and stainless appliances. Note one advantage of buildings on this side of the street is the dedicated driveways, which the buildings on the other side of the street don't offer. Avellino is not only behind the vineyards guard gate, but has its own gated entrance. Various levels of vineyards golf/sports/social memberships are available but none are mandatory. C. 15633 affordably priced, this spacious da vinci model, floor plan, overlooks a relaxinglake with fountains and natural bird life. 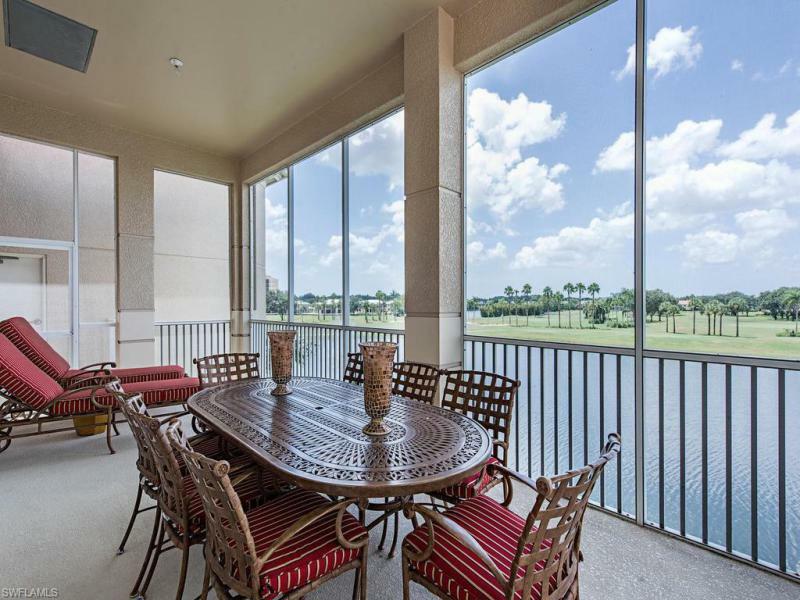 The unit has an open modern floor plan of2,912 square feet, excellent for entertaining. The great room is designed with thedining room, large functional kitchen and bright morning room. The 3 bedrooms,with 3. 5 baths, plus den, are enhanced with molding and coffered ceilings. There is anadditional 1,733 square feet for outdoor living, consisting of a private balcony, tiledsundeck and large lanai for enjoying late afternoon sunsets. The 2 car garage opensinto a tiled foyer area featuring a private elevator to the 2nd. Floor. Avellino isles gatedcommunity, boasts it's spacious private clubhouse, infinity pool with spa and fitnesscenter for enjoying resort style living.